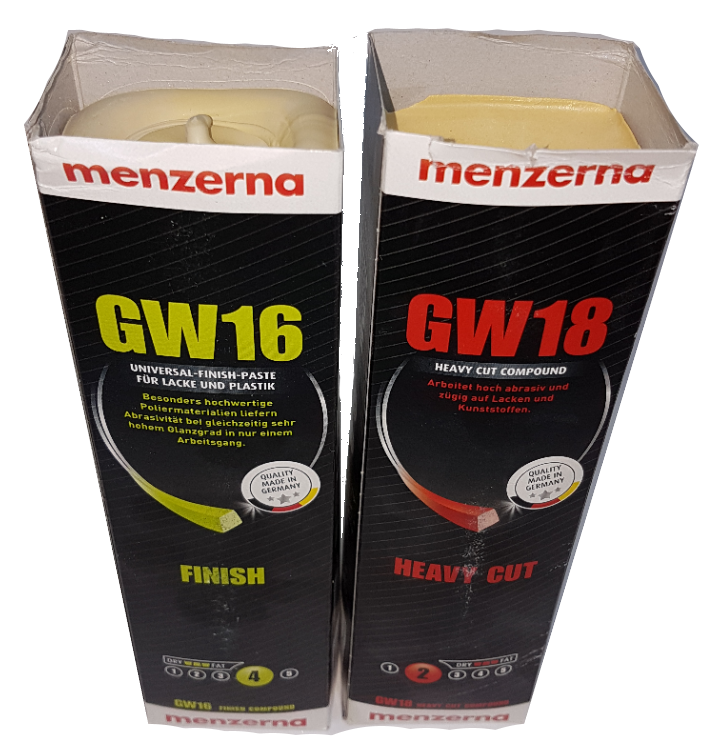 Genuine Menzerna Polishing Compound - often used to hard wax gliders for restoring and protecting gel coat from degradation due to UV and moisture. GW16 - Brown - High gloss with a small amount of cut - for use on newer gliders with good finishes. 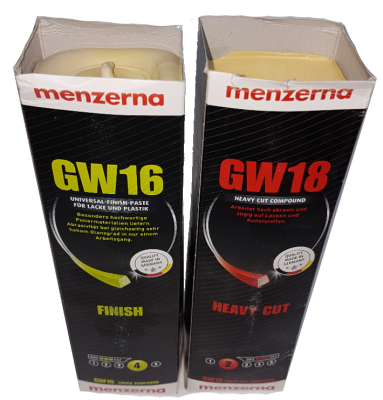 GW18 - Beige - Higher cut with less gloss than GW16 - for use to restore finishes on older gliders.